This home is like walking into a beautifully, sun-lit magazine photo shoot. The stunning renovation w/ gorgeous natural light flooding the open floorplan accentuates the gorgeous (and just refinished) hardwoods, bright white kitchen, and period fixtures. Incredible open kitchen w/ center island and seated bar, custom cabinetry, butlers pantry, marble counters, stainless appliances open to the greenroom and screened-in porch. Master down w/ huge walk-in closet & spa-like bath (frameless glass shower and stand-alone tub). In addition to 2 large bedrooms up, there are also TWO flex spaces (and a loft!). Large corner lot w/ circular driveway and professional landscaping and hardscaping. 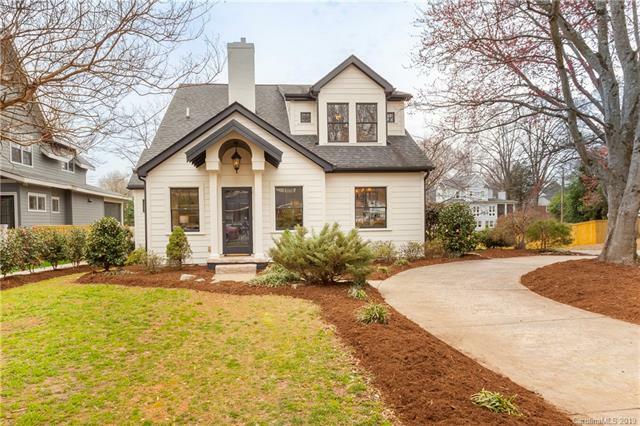 This has all the charm of the original historic home with all modern conveniences & on-point style! Incredible attic storage, too.